Though it is true that your mind is amazing, be mindful of how you use it – it should not be your teacher, but more your loyal servant. The mind is like a computer, a tool which should work for you. You can learn anything you wish, should you put your mind to it. The mind likes to be busy and will keep you busy thinking about all kinds of things – sometimes too busy. But your heart is ever present; a guiding Light of transformational intelligence – way beyond what is currently really understood. 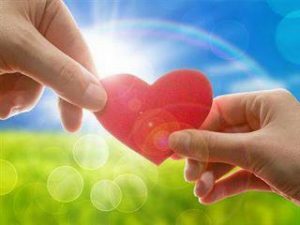 The heart’s energy is so super-intelligent it can connect everyone across the planet and in this synchronised state great work can be done. 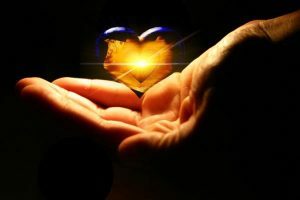 The heart’s magnificent power and intelligence can support you through the most incredible awaking process – should you take time to attune to its guiding Light. 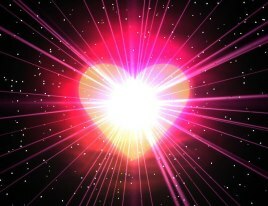 The heart’s bountiful love is a great gift to humanity at this time and true heart sharing is helpful, and healing. Let your heart gently open and learn to accept, forgive and show true compassion in your every day interactions with others wherever and whomever they are. Your heart’s love and guiding wisdom can support your journey of personal transformation, and is showing us what we need to do as human beings to evolve. The awakening process is simply the evolution of humanity to allow its magnificent heart intelligence to unify throughout the cosmos and across the globe, and in doing so a coherent rhythm will be held and everything we understand about ourselves within this great cosmos will begin to shift forever – and we will indeed know that we are not alone. As your heart opens, it will guide you to know yourself fully, and love yourself completely. It is this totality which must be experienced so that full integration occurs and any fragmentation is addressed. A gentle but profound integration of your beautiful-self will take place as you open to deeper self-love, nurture vulnerability and say Yes to the You of YOU. Take time to process these fundamental shifts in self-awareness and self-care as it is the quality of what you achieve now which is important, not the quantity. This is a new phase, and so be conscious of attuning to your heart’s true wisdom with love and humility. Thinking you already know everything will not serve you. Neither will rushing to be the first to finish – especially if you want to be the winner, or want someone to acknowledge how well you’ve done and see what you’ve achieved and tell you how great you are. Be humble. The moment is precious, as is the space you give yourself and so take all the time you need – just to Be. Allow the awakening process to occur naturally. There really is nothing you need to do right now but learn how to quieten your otherwise busy mind, tune into your sacred heart and Be your authentic, radiant-self. Thank you Tracey. I set an intention to connect with myself this year, through meditation and connecting with my heart, so that I am able to listen to my inner guidance, rather than my mind. This is perfect timing Tracy and for me, a true belief in the power of Syncronicity. I am being drawn through several channels and readings to be more Heart Centred and to take the time to relax and meditate more and to give more unconditional love to everyone! My heart is certainly signalling to me right now to rest and recharge, and has been since the New Year. I feel as if I’m hibernating, and have just completed a 10 day detox, during which time I slept a lot! It feels like a pregnant pause, and there is certainly an optimistic air of expectation about me. I watch as my mind ‘suggests’ that I ought to be doing something, but then something inside me vetoes the suggestion, and I just sit. as I nurture my relationship with myself. I am so appreciative of your words of support at this time. Perfectly appropriate and synchronistic! I listen to you first thing every morning – what a gift. Thank you, Dearest Tracy. There is something so compelling in all your work, especially your voice. I love that certainty. Thank you also for stepping up with all that you are sharing in this 11.11 year of 2018. Much Love and Many Blessings. Thank you so much for all your inspirational offers, especially the daily wake up calls and the transmissions. For me, it is much helpful.